Are you new to the sport of road biking and wondering how much you should be spending on a bike? Here are a few best road bikes under 500 just for you. Before making this decision, it is important to remember that the amount you spend is going to be reflected in the quality of the bike. You should also remember that even if you do spend less money, you can always make improvements to the bike later. 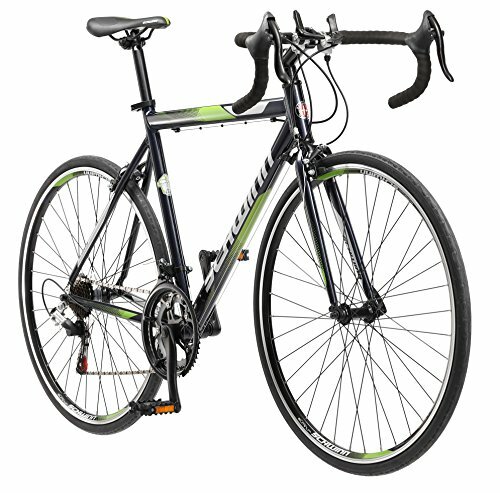 You can usually find a road bike under $500 that has a quality frame and just a few flaws. If need ideas of where to start, consider some of the bikes on this list of the top 5 best road bikes under $500. While each has a few disadvantages, what it really comes down to is that you are getting the best road bike for the money. The first bike on our list of the best sub $500 road bikes is the Libero Acciao by Giordano. The first thing you may notice about the Libero Acciao is that the frame is constructed of steel, which is not common to road bikes. Aluminum is often favored because of its rigid, but the lighter frame. Therefore, the advantage of the frame is that it is more forgiving than aluminum, which offers a more comfortable ride. Unlike other steel bikes, however, the Libero Acciao is still fairly light, weighing between 25-30 pounds. While it may not be the ideal weight for racing, it is still very fast. This is especially true if you choose the right bike size, which is very doable because this bike comes in small, medium, and large sizes. While the frame is heavier, the Libero Acciao makes up for it with sturdy, but lightweight 700C wheels. The operation of the hardware parts paired with the lightweight wheels let this bike fly down the pavement. You can also easily transition from flat to hilly riding because the integrated shifters operate very smoothly. There are not many disadvantages to this bike. The only thing to note is that it may require assembly by your local bike shop. This is especially true if you want the brakes and shifters to operate flawlessly. 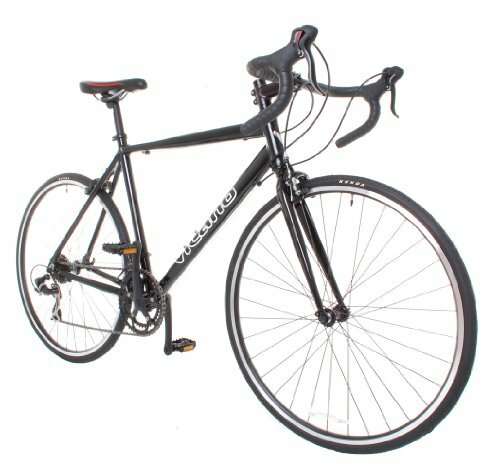 Another pick for best road bikes under 500 is The Shadow Road Bike by Vilano features makes it a great choice if you are looking for a quality road bike but don’t want to spend a ton of money. There are several great things about this bike that make it well worth the money you are spending on it. First, it comes with a very lightweight aluminum frame. This is made sturdy by double-butting. The fork of the bike is also aluminum alloy. While this makes it lighter, it is not quite as sturdy as bikes made with carbon fiber forks. The Shadow Road Bike also comes with quality parts, much higher quality than you would expect after buying a road bike under $500. Many parts of this bike are made by the Shimano company, including both derailleurs and the integrated braking and shifting system. Another important thing to note is that the brake and shifting system is integrated. This means that you can shift and brake the bike with a single hand. Unfortunately, if you have larger hands, you may have difficulty using this set-up. This is because the levers for the brakes and the shifters are very close to each other. While there are several great features of this bike, there also several things to note before purchase. First, the wheels are not of the highest quality. If you plan on riding rough terrain, then they have to be filled with a precise amount of air. Once you have done this, however, you can ride rough areas without getting flat. The pedals that come with the bike are also of rather low quality. This, however, is expected, as the pedals are included free with the purchase of the bike. The seat is also of low quality. Finally, the crank arm is of lower quality. It is looser, and may even become so loose that the threads begin to wear. If you notice that your crank arm is not tight, then you may want to replace it before you take it long distances. This can save you from a potential disaster. The Imola bike Tommaso has several different things that make it a great bike. First, its frame is mostly aluminum but comes with steel components. This is designed to make it lightweight but still extremely durable. The steel components also allow for a less rigid, more comfortable ride than other bikes in the same class. It is slightly heavier than some other road bikes, but the extra 1-2 pounds is not much of a sacrifice when you consider all of the other features of the bike. Additionally, the company trusts the quality of its frame so much that it offers a lifetime guarantee. The Tommaso company did not try to cut costs with lower-quality parts, they offer Shimano parts all the way around. This includes Shimano Claris derailleurs, shifters, and a triple crankset. The high-quality parts mean that the bike can shift very smoothly between all 24 gears. You also get a quick response from the shifters and the brakes. The components and frame of the Imola bike allow you to experience easy riding, regardless of the size of the hill you are climbing. The wheels of this road bike are very good, but they are kind of thick. This makes them heavier but it also allows them to be good for traveling over potholes and road debris. A few other advantages of this bike include its memory gel seat and bottle holder, both of which allow it to be ridden long distances. There are very few disadvantages to this bike. One thing to note is that the bike does not come with pedals. Additionally, a professional assembly is required, unless you have experience with road bikes. The tools are not included and you may want to have a professional bike shop adjust the brakes and shifters. The next bike on our list of the best road bikes under $500 is the Volare 1300 Road Bike by Schwinn. While this is sold as a men’s bike, it is able to be enjoyed by both men and women. There are quite a few benefits of this bike. First, the Volare 1300 road bike has high-quality components. This allows it to respond quickly and easily, whether you are braking or trying to switch gears. Additionally, the bike handles speed really well- whether you are riding across flat terrain or up and down hills. 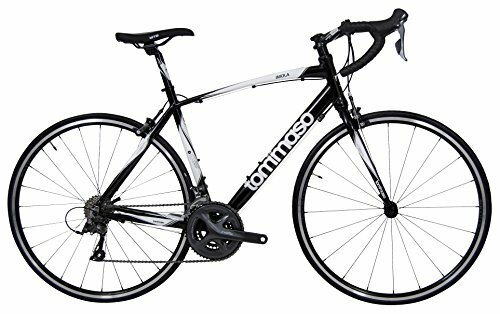 The frame of this road bike is also sturdy, though it is slightly heavier than other bikes in its class. It weighs around 26 pounds. However, the drop-bar handles make up for this. They allow you to sit in a position that allows you to travel very fast. The bike does come with decent wheels, but you have to pump them to the right psi if you plan on riding a rocky road or over debris. Otherwise, you leave yourself highly susceptible to a popped inner tube. Additionally, if you do not want to end up replacing a countless number of inner tubes, you will need rim tape. The Volare 1300 road bike comes with plastic protection between the inner tube and spokes, but the protection will eventually wear and allow the spokes to pop the tube. The final thing to note is that you may need to have it assembled by a professional bike shop. They will be able to adjust it correctly, and ensure that the brakes and shifters are operating to their best ability. Our last pick for best road bikes under 500 is The Haanjo Metro road bike has many great features, beginning with its frame. The frame is constructed of 6061-T6 aluminum. It is also fully butted. The butting makes it slightly heavier, however, this is a small sacrifice to ensure the durability of the bike. In addition to having a quality frame, the Haanjo Metro has quality hardware components. You will notice a fast and accurate response from the shifters and break as you ride, especially if they are tuned properly. Another benefit is that the wheels that come with the bike are of decent quality. Some people may choose to replace them because they are wider and heavier than other options, however, their width allows them to handle rough terrain well, including gravel, debris, and potholes. There are only two disadvantages to this bike. The first is that it only comes with 9 gear options, while other road bikes in the same price range come with 14 or more. However, this can be a good thing for some, as the single gear ring is very easy to operate. It does limit the amount of uphill riding that you can do, though. The other disadvantage is the comfort of the seat, but this can easily be replaced and it is a common problem among road bikes. So What Is The Best Bike for the Money? Whether you are a novice or a biking expert you will be satisfied with the Tommasu. With its many features and limited disadvantages, it really is the best bike for the money. 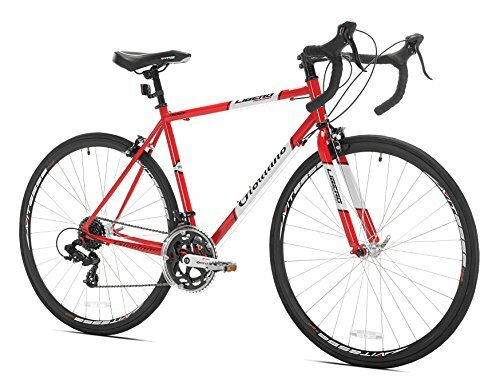 Its aluminum frame features steel components for increased durability and the sub $500 road bike is available in a wide variety of sizes. It also has high-quality components, including a Shimano Claris triple crankset, front and rear derailleurs, and shifters. 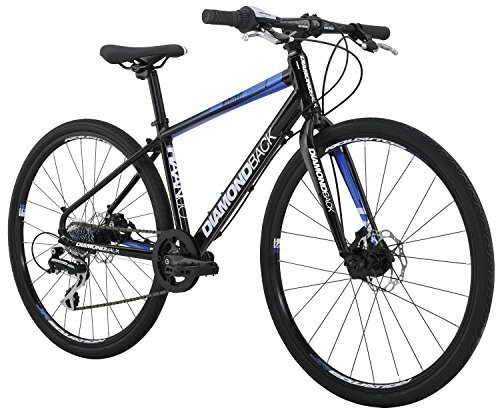 The bike rides flawlessly, whether you are going across flat terrain or up and down hills. It also shifts and brakes easily and has an incredible response time. Finally, the Imola bike Tommasu has features such as a water bottle holder and a memory gel seat. All of the great features and the limited number of complaints really makes it the best bike for the money. Now that you have an idea of what some of the best road bikes under $500 look like, use your best judgment! If you do end up purchasing a bike with a few problems, remember that you can always upgrade the parts. You should also remember, however, that if the quality of the bike is so low you have to spend more money than you would on a top of the line road bike, it may not be worth it. Use your best judgment and choose wisely- remember that there is a ton of online reviews and opinions that can help guide your decision. I hope you liked our choices for the best road bikes under 500.